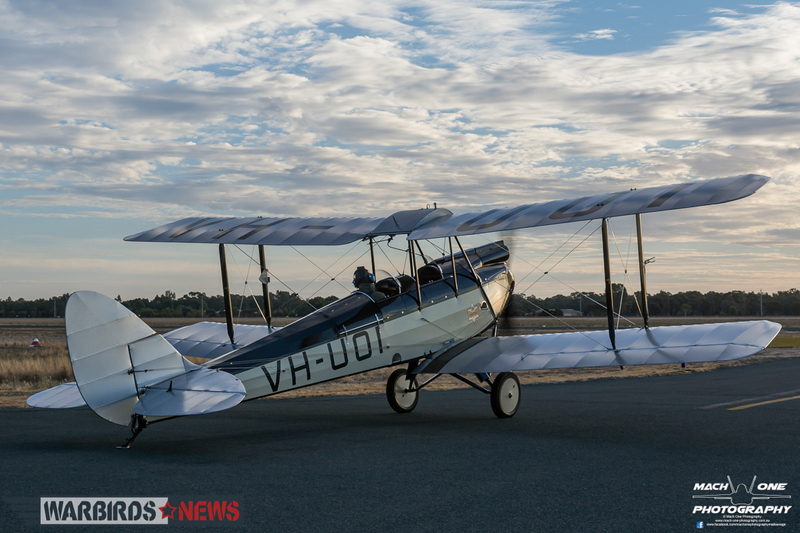 Friday April 15th, 2016 saw the kick-off of the largest event in the Antique Aeroplane Association of Australia’s calendar, their Annual Fly-In. 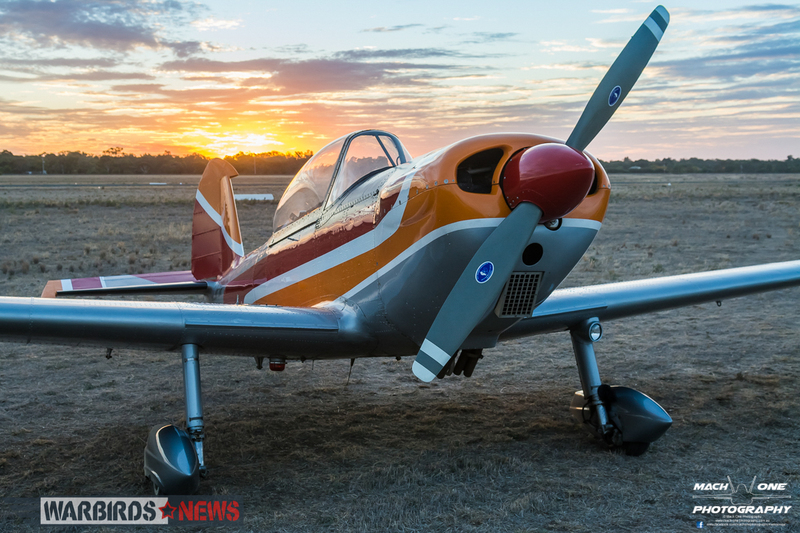 This was the second year in a row that the fly-in took place at Echuca, which is on the southern banks of the famous Murray River at the Victoria/New South Wales border. 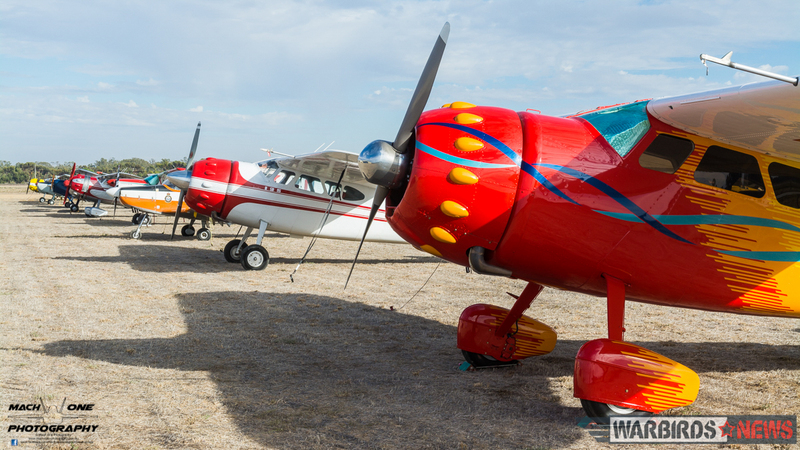 The Echuca Aero Club hosted the festivities. 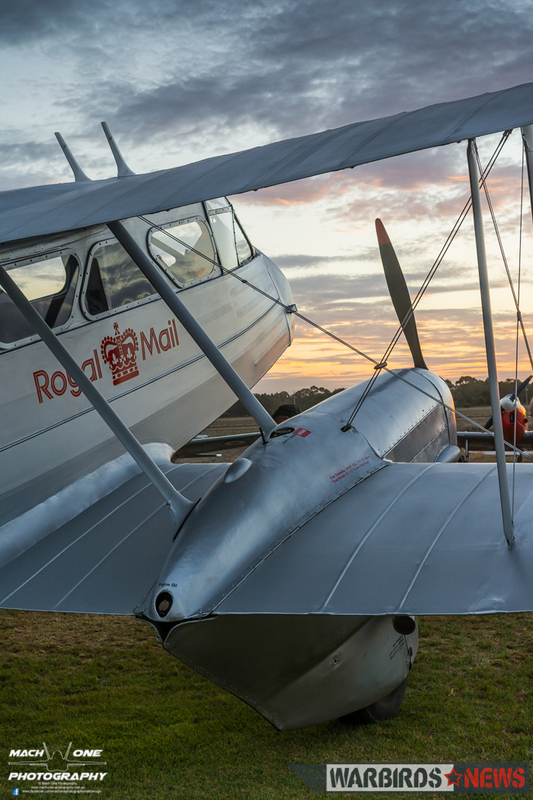 The turnout was a record for the event, with over 170 aeroplanes flying in from across the country. 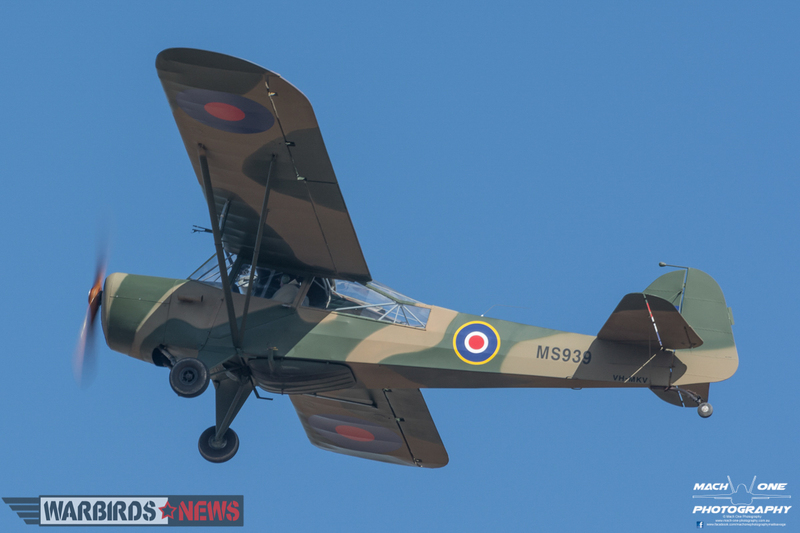 Aircraft in attendance ranged from motor gliders to ex-military fighter and bomber aircraft. Some aircraft had some issues getting out of Melbourne on the Saturday due to low cloud and rain, but by late afternoon this had cleared. The airfield was filled to capacity by end of daylight. 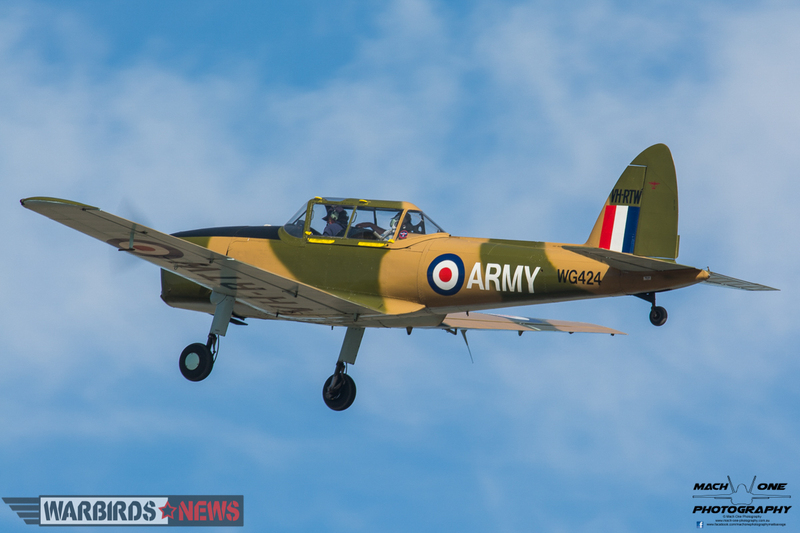 In addition to the Antiquer’s Fly-In, the classic de Havilland Chipmunk celebrated its 70th Birthday at Echuca. No less than 15 Chippy’s were in attendance over the weekend, representing one-third of the total Australian population. Bringing so many examples of the type from so far away for the celebration was a tremendous achievement indeed! 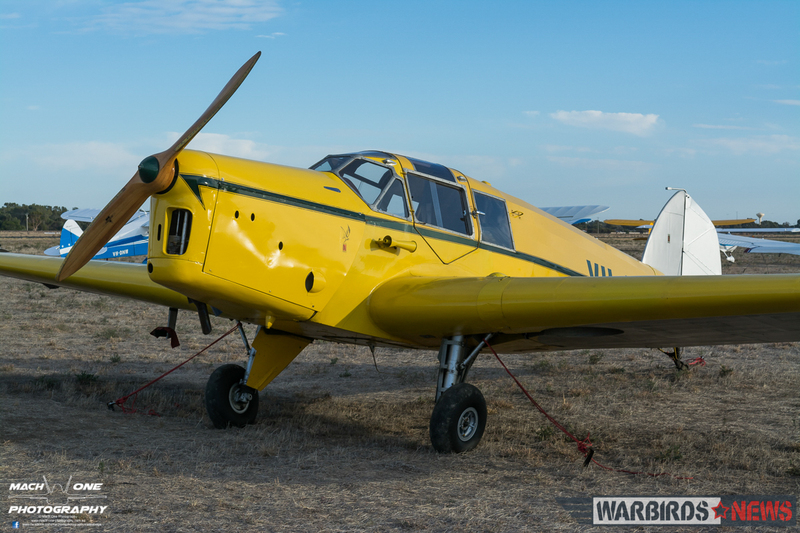 While many Chipmunks were still in stock condition, a couple of modified examples also graced the field. Rob Merrylees’ Chipmunk T.10 VH-UEU had received modifications to run a horizontally-opposed Lycoming IO-360 (as found in the PA-28 Warrior) and a three-bladed propeller, while Richard Maclean’s T.10 VH-BVP sports a bubble canopy, wheel spats, and an AEIO-540 engine. These modifications ensured a slightly(!) more spritely ascent than their Gipsy Major-powered brethren could deliver. 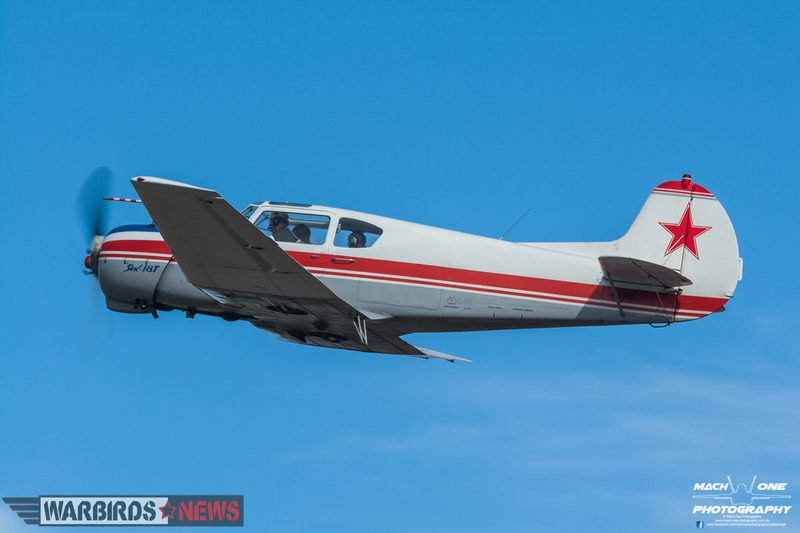 Many of the local population turned out to see the spectacle, and while the event itself was not open to the public, they were treated to a wide variety of aircraft types flying through their “patch”. 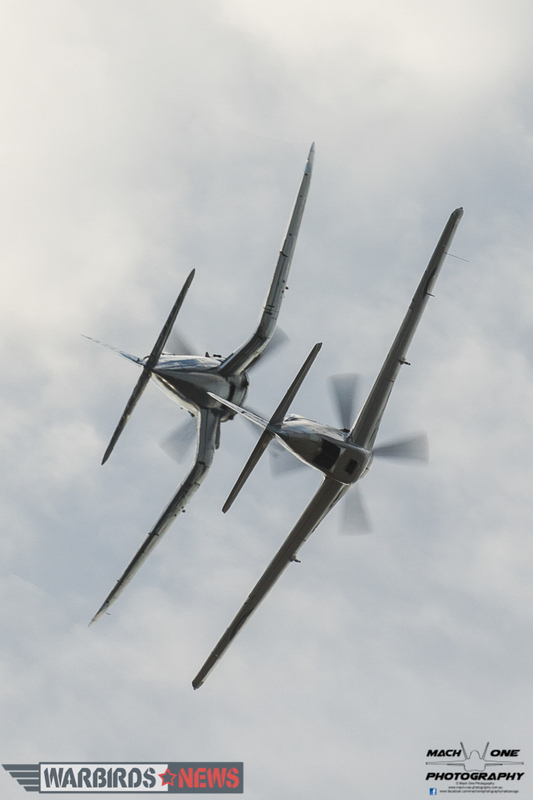 Bernie Heuser and Nick Caudwell made a few flypasts late in the afternoon on Saturday in the Commonwealth CA-18 Mustang and Chance-Vought F4U-5N Corsair, and Doug Hamilton brought his Lockheed 12A Electra Junior and newly-restored Curtiss P-40N Warhawk, 42-104986. On February 14th, 1944, future ace Nelson Flack of the 8th Fighter Squadron, 49th Fighter Group USAAF was shot down in this P-40 during an intense aerial battle, but not before he himself triumphed over a Japanese Ki-61 Hien. 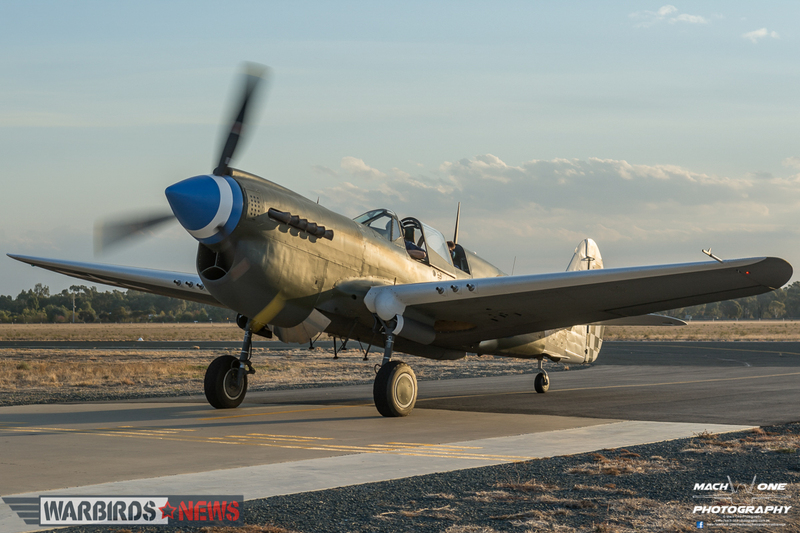 Recovered in 2006 from the New Guinea jungle and following a 12-year rebuild, the P-40 made her first post-restoration flight just a few weeks before the fly-in. 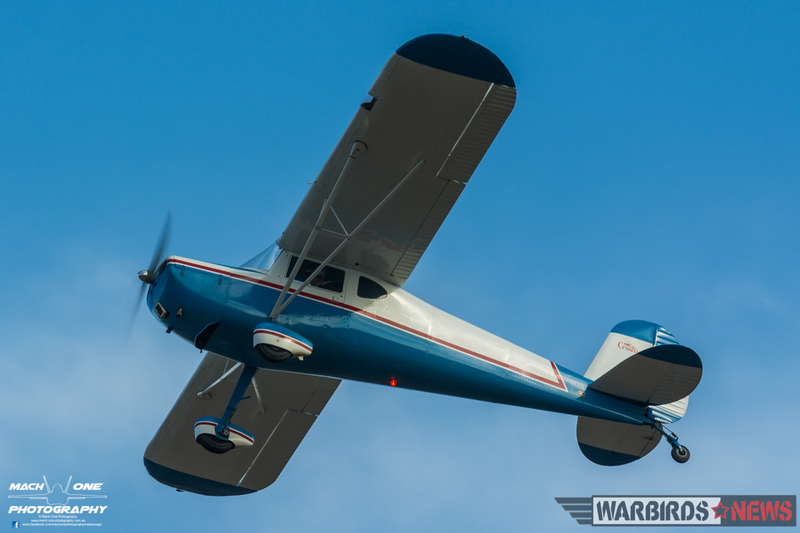 This year’s event was also the first time that both examples of the WACO Custom Cabin biplane were at the same location. QANTAS A380 pilot Guy Bourke brought up his resplendent AGC-8 NC66206, while Sker Aviation Pty Ltd brought EGC-8 Special VH-EGC all the way from Queensland for the event. 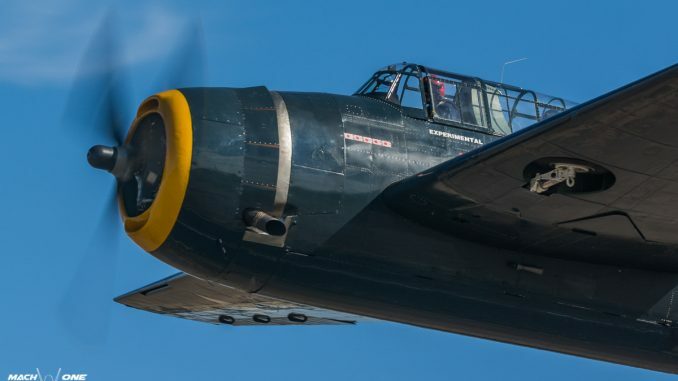 Another visitor from Queensland was Anthony Freer’s TBM-3E Avenger VH-VTB. The opportunity for some good food and great company was obviously too good to miss!! As they say in the classics, all good things must come to an end, and on Sunday the attendees began the slow march to strike camp and head home. 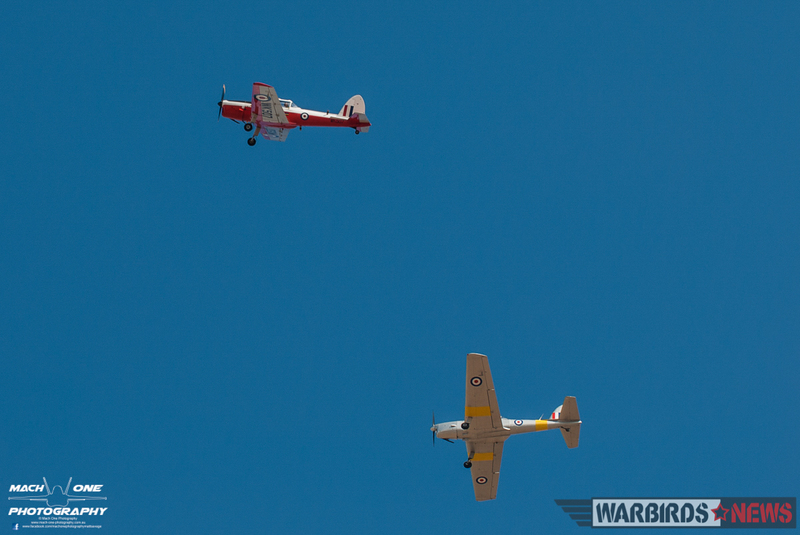 Many of the warbird contingent left early on Sunday due to commitments with the RAAF Museum at Point Cook and their Interactive Flying Day, but a good contingent stayed on at Echuca well into the afternoon. All-in-all, it was an excellent weekend with hundreds of like-minded aviators indulging in their passion. 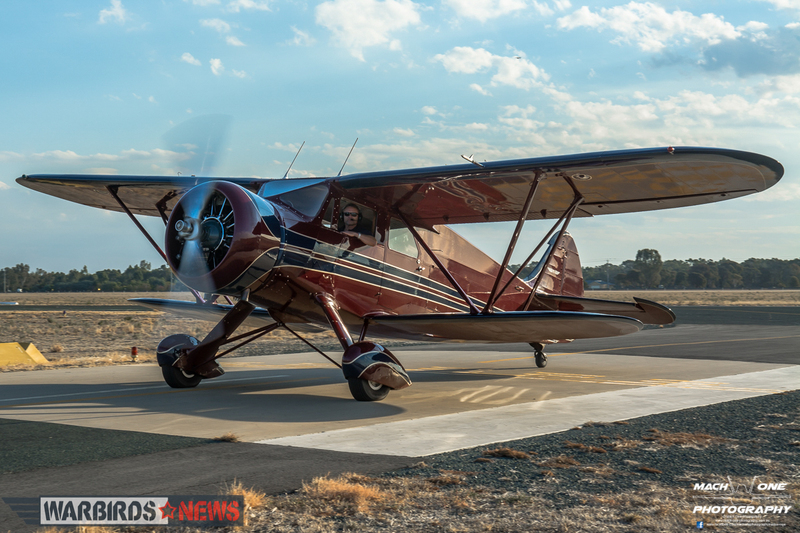 Special thanks go out to Matt Henderson and the Committee of the Antique Aeroplane Association of Australia for organising the event, to the Echuca Aero Club for hosting us, and to the many owners, pilots and support crews for bringing their aeroplanes from across Australia to converge and share their passion for flight. 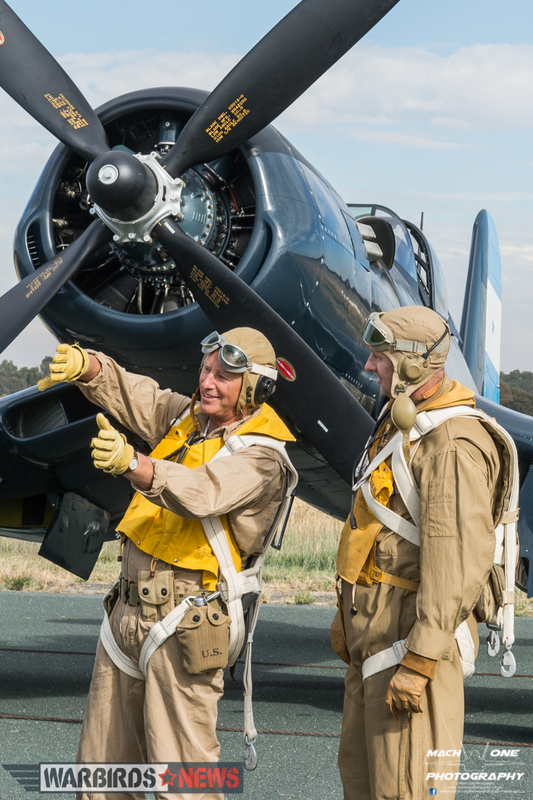 It is dedicated people like these who form the backbone of th strong community of antique and classic aircraft in Australia. 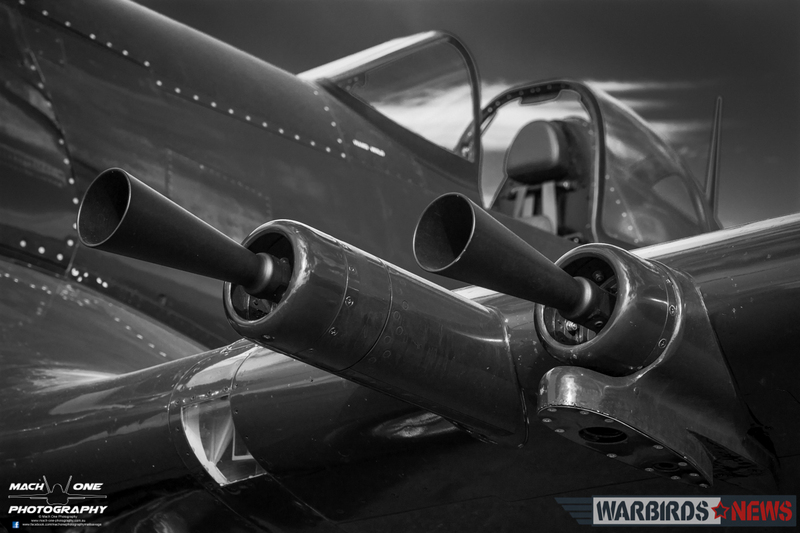 Whether you own a multi-million dollar Mustang or a Piper Cub, a heartfelt thanks go to you all! 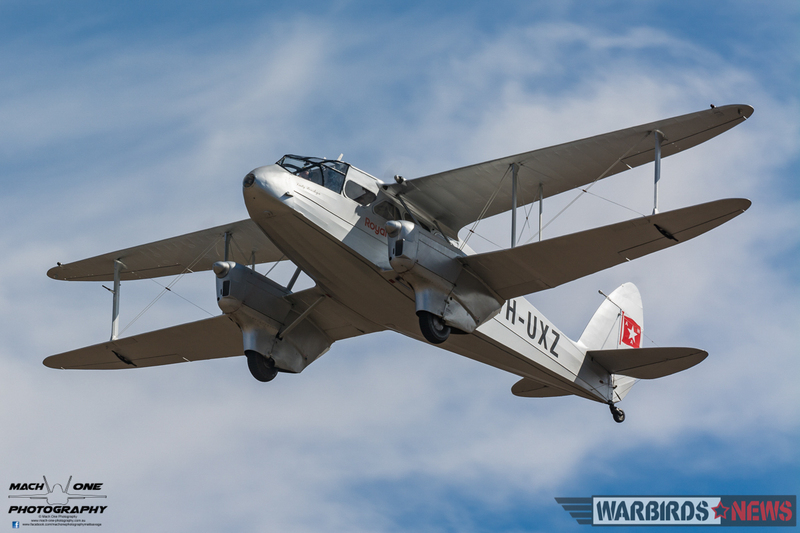 The next Antiquer’s Fly-In will also be held in Echuca in 2017, on the weekend of March 17th-19th. 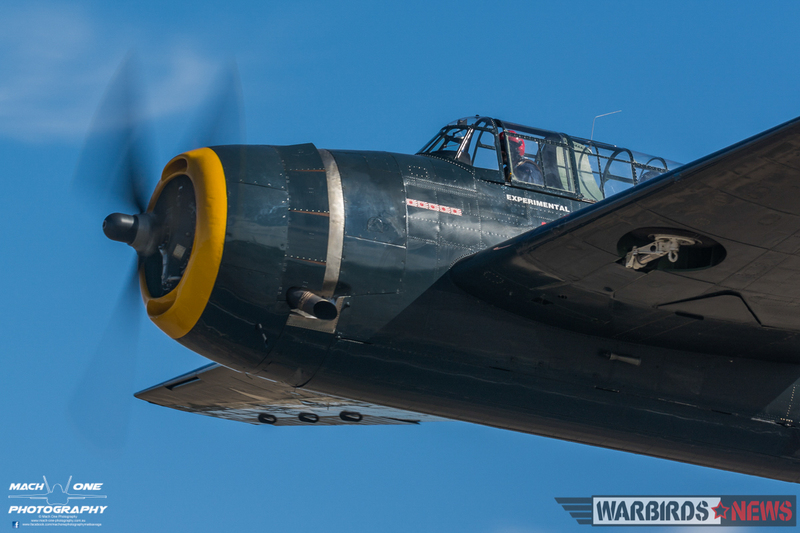 WarbirdsNews would like to thank Matt Savage for his wonderful report and photographs. We hope you enjoy reading through as much as we did!